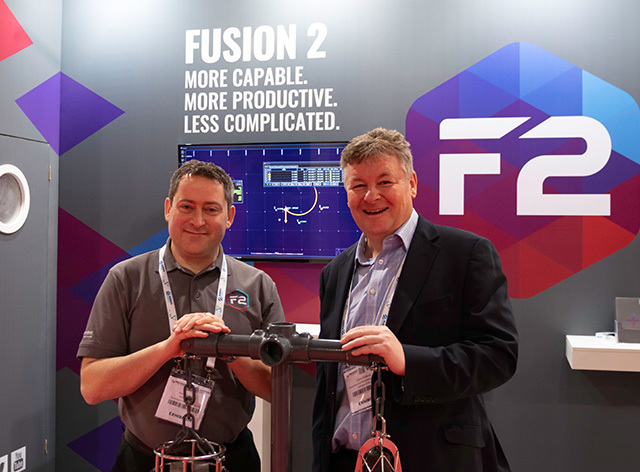 Leading integrated subsea and offshore solutions provider, Unique Group, is bringing the advantages of Sonardyne International Ltd.’s new Fusion 2 and 6+ underwater survey and positioning technologies to its global customer base following orders worth in excess of £1 million. Unique Group’s orders, announced on the opening day of Subsea Expo in Aberdeen, will see multiple copies of Sonardyne’s Fusion 2 Long BaseLine (LBL) and INS operating platform and a large number of the latest Compatt 6+ seabed transponders and ROVNav 6+ vehicle-mounted transceivers distributed across Unique’s key operational bases. Fusion 2 builds on Sonardyne’s four decades’ of experience supplying LBL solutions to most of the world’s major oil and gas field developments globally. With Fusion 2, Unique Group’s customers will have access to a single software environment in which surveyors can perform all of their LBL, SPRINT INS and INS aided LBL operations. The software includes the ability to seamlessly switch between modes, as required, and remote access for onshore teams. Together with Sonardyne’s latest 6+ in-water hardware and new Wideband 3 signal protocol, Fusion 2 will speed up projects, through faster combined telemetry and range updates, and enable real-time INS-aided LBL SLAM operations, all with less equipment and fewer interfaces. Unique Group which has offices in UK, USA, UAE, the Netherlands, KSA, Qatar, India, South Africa and Singapore, has also ordered Sonardyne’s GyroCompatt 6 positioning transponders, which offer operators real-time positioning and motion data from one small, versatile and robust instrument.